Samsung’s Exynos chipset is venturing into 10nm territory with the latest Exynos 9 Series 8895. This chip promises up to 27% higher performance and 40% lower power consumption than a comparable 14nm chip. The chipset features an octa-core CPU starring second generation custom Samsung cores (four of them) as the big cluster while Cortex-A53 (again, four) reprises its role as the little cluster. The GPU is a Mali-G71, which has its eye on VR. It should have as much as 20 cores! Samsung maintains parity with Qualcomm by offering a Gigabit LTE modem - that’s 1Gpbs down and 150Mbps up. A built-in security module will work with fingerprint readers and iris scanners for secure payments. VR is a special focus of the Exynos 9 Series 8895. The GPU is built with VR in mind and promises to minimize latency for a more immersive experience. Non-interactive VR is helped by the video decoder, which can enhance 360° videos. Other goodies include support for 4K @ 120fps video recording and playback. There’s a Vision Processing Unit too, which can track moving objects in video, help with panorama processing and machine vision. 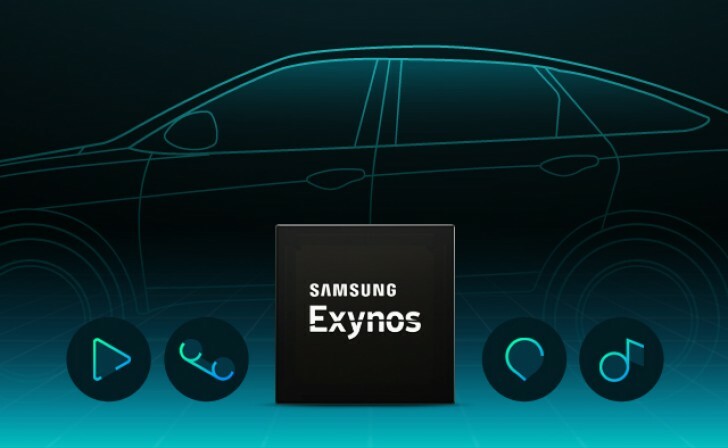 Samsung has more than flagship smartphones in mind for the Exynos 9 - automotive infotainment systems are another opportunity to shine. Audi has already signed up to use Exynos chips in its cars and thanks to the Harman acquisition, Samsung will have more customers lined up. Before we go, here’s how the new Exynos chip stacks up against the known competition. What matters for an android smartphone is multi core performance, it'll definitely trail A10 in multi core speed. It's a multi core processor so we should be concerned about multi core performance. Yup. Pretty interesting to know of such a sensor eh? However they gimped it without xenon or OIS and limited support. you are right, I didn't knew about that phone, I thought that Nokia has the record in the biggest phone sensor category.